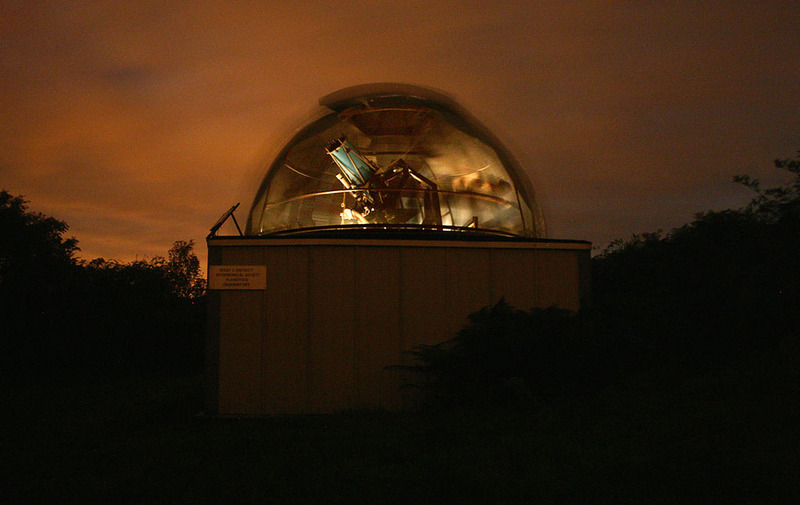 Chris Newsome took this time lapse image showing the 10" Newtonian telescope inside the dome of the Society's Flamsteed Observatory at our observing session on the 22nd September 2007. Adrian Brown moved the dome around while Chris left the shutter of his camera open. It is a single 30 second exposure taken with a Canon EOS 300D camera, using an 18mm lens at f/5.0 and 800 ASA. As Chris says, "If the sky is cloudy, try imaging something else to do with astronomy! ".